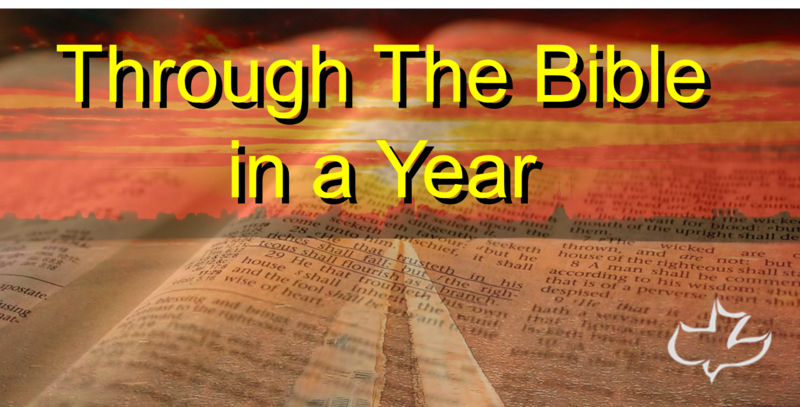 During 2014 we undertook a journey through the Bible from Genesis to Revelation in 48 sessions, taught by Pastor Barry as part of our Sunday morning services. These sessions were and are designed to give a comprehensive overview of God’s wonderful, inerrant, infallible and inspired Word, drawing in part from Dr Chuck MIssler’s ‘Through the Bible in 24 Hours’ studies available from www,khouse.org. Full PowerPoint slides used for each session are available in PDF format to complement the audio teaching. It is our desire that this series of studies will be a resource for those wanting a quick overview of a particular book, or portion of scripture, or for those wanting a complete overview of God’s wonderful Word from the miracle of our origin to the mystery of our destiny. We pray that God bless you as you grow in knowledge and grace. Full PowerPoint slides used for each session are available in PDF format to complement the audio teaching.